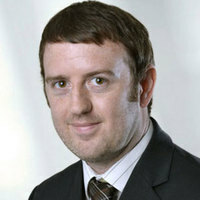 Chris is a partner specialising in commercial property law. - Commercial development transactions including large scale design build and let commercial projects. - Advising insolvency practitioners in relation to the property aspects arising out of bankruptcy, liquidations and administrations. Stephensons Solicitors LLP is a leading firm of solicitors serving clients nationally. We aim to work alongside our clients and where possible to a fixed price to give certainty over cost. We have over 470 staff and 36 Partners based in offices in London, Manchester, Altrincham, Leigh, Wigan, Bolton, and St Helens. We are a full service law firm, which means that we are able to look at the whole solution for our clients giving them continuity. We provide services to public, private and voluntary sector organisations. Our client base includes businesses as well as private individuals.